We are delighted to introduce the ground-breaking GFI Unlimited subscription programme! GFI Unlimited is a subscription to use GFI products. You will pay a flat price per user/unit and can use as many GFI solutions as you want. There are no product restrictions and technical support is included for all products used. One licence unlocks access to the entire software catalogue. As trusted preferred partners we offer expert advice on the GFI and Kerio product range and can order or renew your software licences quickly, without fuss. Call us on 0330 2020 139 or email sales@invictalinux.co.uk. Invicta Linux are GFI Software Gold Partners. We invite you to try our Kerio solutions. Kerio Control ensures a safe and secure network and maximum employee productivity. Kerio Connect makes business communications fun, easy and highly productive. What is Kerio Connect ? Kerio Connect is the award-winning, leading alternative to Microsoft Exchange for businesses and organisations that prefer a simple approach to IT. What are the benefits of Kerio Connect? BYOD Made Easy - Let’s face it. Business users are bringing their own devices to the workplace and that’s not going to change. Kerio Connect makes BYOD easy. 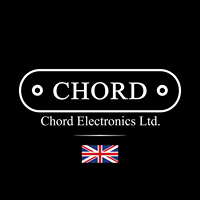 From iPhones to Android phones to tablets, we support virtually every mobile device on the market. And Kerio Connect is so simple to use that end users can configure their own devices without bothering IT. Flexible, Cross-platform Client Support - Business users don’t care about mail servers. They simply care that their email works, that it’s secure, and delivers the flexibility that users want and expect. When using Kerio Connect Client for Mac, Windows or a web browser, you can see the presence of colleagues, chat in real-time, organise meetings and securely compose richly formatted email. Kerio Connect also provides full support for Outlook (Windows and Mac) and many other IMAP or POP compliant email clients. Unparalleled Simplicity - Kerio Connect delivers the features and functionality of a complete messaging and collaboration solution without the complexity and high price tag of other systems. Kerio Connect’s web based administration is clean and simple, and can even be configured from a tablet. Stay in control of all your Kerio deployments through a single centralised web interface. One-click upgrades make it quick and easy to ensure your server is using the latest version, and managing users is a breeze with the straightforward licensing model. We meet your requirements with the best and most flexible messaging and collaboration server on the market..
Kerio Connect Single-Server - Easily install Kerio Connect on your existing hardware, using your favorite host OS or hypervisor. We support most versions of Windows, Linux and Mac. Or choose the VMware virtual appliance to easily run Kerio Connect side-by-side on the same hardware as your other business applications without worrying about operating system compatibility. Kerio Connect Multi-Server - Deploy this modular, multiple server solution for greater scalability and performance in larger organisations and distributed multi-office environments, or in partner-hosted Kerio Cloud environments. What is Kerio Control ? Kerio Contro is a unified threat management solution, featuring comprehensive network protection and intelligence. It includes an ICSA Labs-certified firewall, VPN services, internet load balancing and failover, content filtering, and sophisticated reporting. What are the benefits of Kerio Control? Next-Generation Firewall, Router and Leading-Edge IPS - Preserve the integrity of your servers with deep packet inspection and advanced network routing capabilities -- including simultaneous IPv4 and IPv6 support. Create inbound and outbound traffic policies, restricting communication by specific URL, application, traffic type, content category and time of day. Kerio Control’s IPS adds a transparent layer of network protection, with Snort-based behavior analysis, and a regularly updated database of rules and blacklisted IP addresses from Emerging Threats. Advanced Gateway Antivirus - Keep viruses, worms, trojans and spyware from infesting your network with integrated Kerio Antivirus.The optional antivirus service scans all web and FTP traffic, email attachments and downloads, automatically updating itself with the latest virus definitions. Industry-Leading Web, Content and Application Filtering -Selectively block, allow or log access to 141 categories of web content and applications using Kerio Control Web Filter with application awareness. Keep bandwidth-hogging traffic like streaming video off your network or block peer-to-peer networks. Keep your users from visiting malware sites that are known to contain viruses and spyware or to engage in phishing or identity theft. The optional Kerio Control Web Filter with application awareness limits legal liability, protects your network and boosts user productivity by limiting user access to dangerous or inappropriate sites or those that just plain waste time. Unmatched Quality of Service- Easily prioritise and monitor network traffic to guarantee high-speed transmission for the most important traffic types. Internet Link Load Balancing optimises Internet access by distributing traffic across multiple links. Kerio Control monitors link availability, and automatically disables or re-enables links to ensure continuous Internet access. Productivity-Boosting Usage Reporting - Get detailed usage reporting with Kerio Control Statistics. This component lets managers and admins view the Internet and application activities of individual users -- from a list of all sites visited, to the specific search terms users enter on search engines and websites. Secure VPN - Link headquarters to remote users and branch offices securely and easily. Kerio’s own VPN tunnelling with dead-simple setup requires minimal configuration, and provides a high performance network connection. Or, use industry-standard IPsec/L2TP for connectivity from mobile devices or third-party firewalls. Enable 2-step verification for an extra layer of security on all forms of remote access. Remote Management and Monitoring - Handle all administration and configuration activities from a customisable web-based console using your desktop or tablet. Quickly and securely access security settings, manage users and bandwidth, and set traffic policies from an intuitive interface. Flexible Deployment - Deploy as a software appliance, a virtual machine, or a performance-optimised hardware appliance. Remote deployment of hardware appliances is easier and faster than ever before with self-provisioning through MyKerio. John Hellyar Plastics is a leader in the thermoplastics market for over 50 years. 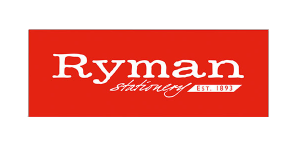 Ryman Stationery is the UK’s leading stationer and supplier of home and office essentials. Jeremy Fiddler, Head of Group IT at Ryman. What is Kerio Cloud ? Kerio Cloud enables you to stay connected anytime, anywhere with Kerio Cloud hosted email, messaging and voice services. What are the benefits of Kerio Cloud? The Leading Business Alternative to Office 365 and Gmail - Enjoy secure and protected email, shared calendars, contacts and instant messaging. Forget on-premises Exchange or Office 365. Focus on your business not email server downtime and connectivity issues. Your Choice of Email Client - Mac, Windows or Linux - Whether you’re a Mac, Windows or Linux user we’ve got you covered. Kerio Cloud keeps all of your data sync’d across the applications you use every day including Kerio Connect Client for Mac and Windows, Kerio Connect Client via your favorite browser, Apple Mail, Microsoft Outlook, Thunderbird, or any other IMAP or POP compliant email client. Sync Any Mobile Device - Kerio Cloud is a synchronisation superstar, and whether you were first in line to get the latest iPhone, favor Android or are still faithfully relying on your Symbian-based smartphone, we use direct push synchronization so the information on your computer always matches up with what comes across on your smartphone screen. Security in the Cloud - Stay secure with Kerio Cloud. Our anti-spam and anti-virus protection protects against hacking and malicious attacks and blocks more than 99.9% of all spam. Understand what is happening in your email environment anytime, anywhere with powerful reporting. And, prevent data loss and comply with legal requirements with email archiving.